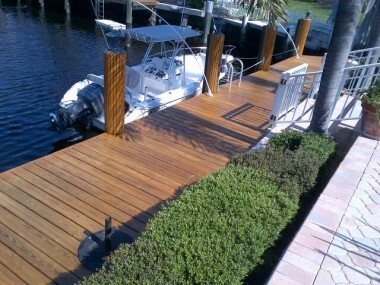 Defy water based deck stains are an industry leader when it comes to exterior water based wood stains. Defy deck stains meet the Green Performance Standards of The Master Painter’s Institute (MPI). The standards today address ecofriendliness with optimal performance. Defy water based deck stains come in clear or a wide variety of wood tones and colors. From Defy original stain to the nano-technology used in Defy Extreme, all the Defy products will enhance the natural beauty of the wood’s surface and give lasting protection from the elements. Defy’s line of waterbourne stains give wood surfaces superior UV resistance by blocking out the harmful sun rays. They are resistant to mold and mildew which causes wood rot and decay. Defy stains do not flake or peel like other water based deck stains and are very user friendly. Best of all the Defy water based deck stains clean up easily with soap and water. Whether your deck or wood surface being stained is pressure treated pine, cedar, redwood, mahogany, or hardwood, Defy makes a wood stain that will give you great results for lasting beauty and protection. Defy the elements with any of the trusted products of water based Defy deck stains and get the results you expect from an exterior wood stain. See why Defy is the industries best water based deck stain today. Prep with Defy Wood Cleaner and reapply as needed. I don't want to strip my deck. I have applied clearer and powerwashed the deck and about 90% of the old stain. Can I apply Defy at this point or will the prior oil stain interfere with the results of the Defy? You cannot apply the Defy over an older stain. Must remove the older stain first. I've been studying stains for so long that my head is spinning. I have narrowed it down to Defy and have ordered the samples. What is the difference between extreme and epoxy? Why are you offering a rebate on extreme but not epoxy?